The Contender was written by Jimmy MacCarthy about the 1930's Irish boxer, Jack Doyle who was also known as The Gorgeous Gael . Jimmy has written many songs which have been recorded by a number of popular Irish Artists - Ride on (Christy Moore), Bright Blue Rose (Mary Black), No Frontiers (The Corrs). Long be-fore I was the man you see to-day. 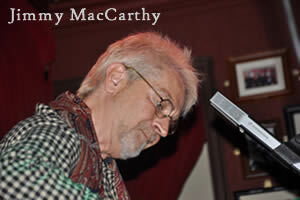 Jimmy MacCarthy: an Irish singer songwriter born in Macroom, County Cork, Ireland. His music styles center mostly around folk and rock and a mixture of the two. He started performing in 1979 and has released 4 albums since then including The Song of the Singing Horseman (1991), The Dreamer (1994), The Moment (2002), and Hey-Ho Believe (2010). "The Contender" chords and lyrics are provided for educational purposes and personal use only.